Comments: This is an excellent shrub for the warm parts of the country where freezes do not occur. 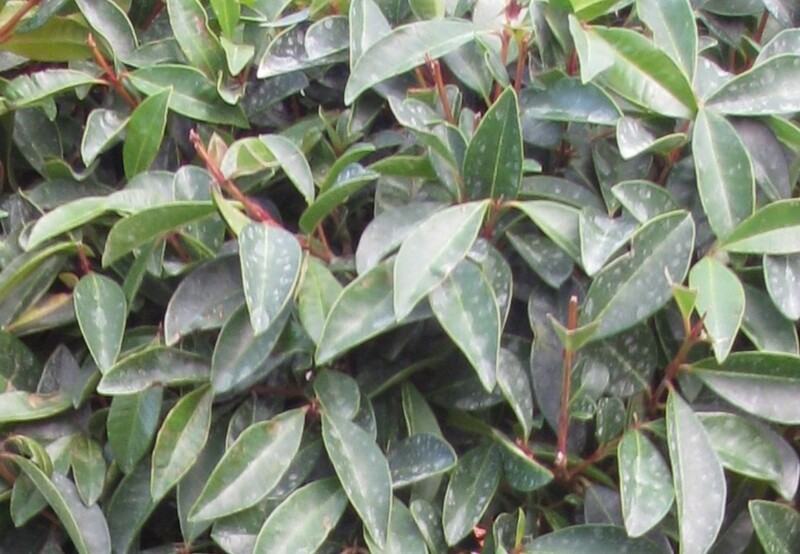 It is a popular selection for topiary and bonsai work because of the glossy green leaves that are formed in pairs. It can take full sunlight, but probably is better suited for some protection from the direct sun during the hottest part of the day. Reported to take pruning well because it is a vigorous grower. Pests include aphids, scale insects, fruit fly, and mealy bugs. Psyllids are said to be a problem in California.